The application process begins with the applicant contacting the Vocation Director who will interview him. The applicant will fill out and submit an application form. The formation team, made up of three to four Salesians, will review the application and the recommendation of the Vocation Director and decide the admission of the applicant into the Candidacy Program. The Candidacy Program is a year to two years experience of living in a Salesian Community. During that time the candidate will follow a program of study, ministry, and prayer, which will give him an experience of the Salesian life. He may attend college courses at this time. Typically the candidacy program is done at De Sales Hall in Bellflower, California. The program begins in August of each year. The Pre-novitiate program follows the candidacy program and can last anywhere from 6 months to a year. It is a time of discernment preparing the candidate for entry into Novitiate. The Pre-novitiate program also takes place at De Sales Hall in Bellflower, CA. The novitiate program for the western and eastern Salesian provinces take place in Rosemead, California. It is a year-long intensive discernment and preparation program designed to help the individual prepare to take the vows of poverty, chastity, and obedience as a Salesian. At this point the person is a full member of the Salesians of Don Bosco and is referred to as a Brother. At the end of the novitiate year, the novice takes his vows for a period of one year. Post-Novitiate for both provinces takes place in Orange, New Jersey. After the novitiate and first profession the Brother (coadjutor brother), will be given an opportunity to pursue university studies in a field that will prepare him for ministry in the Salesian community. After university studies and before perpetual vows the Brother will be assigned to a Salesian Community and spend two years in full time ministry. We call this period Practical Training. 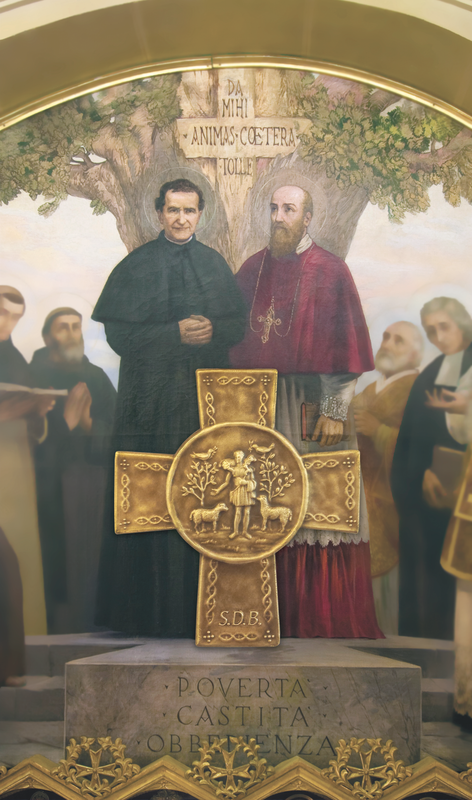 He will be guided by the Salesians of his community in the practical application of Don Bosco's methods of education and youth ministry. The term of temporary vows will last for a period of six years. After this the Brother will make perpetual vows committing himself to life long service of the Lord as a Salesian. The Salesian who is going to serve as a Brother will be given an opportunity to pursue advanced degree work and professional certification in the field of his ministry.